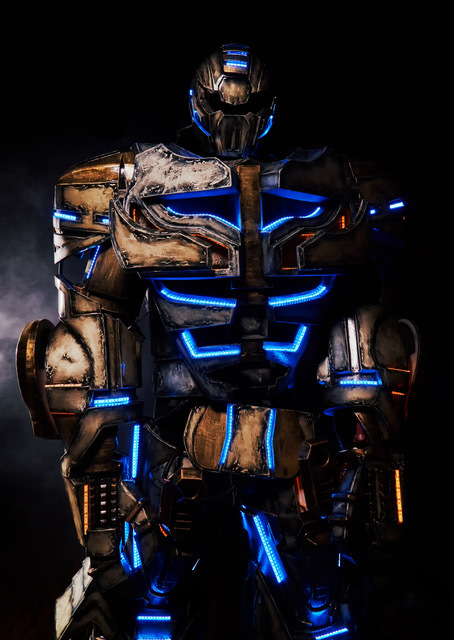 The Robot Show is a pioneering entertainment concept that combines jaw-dropping technology with one-of-a-kind performances. 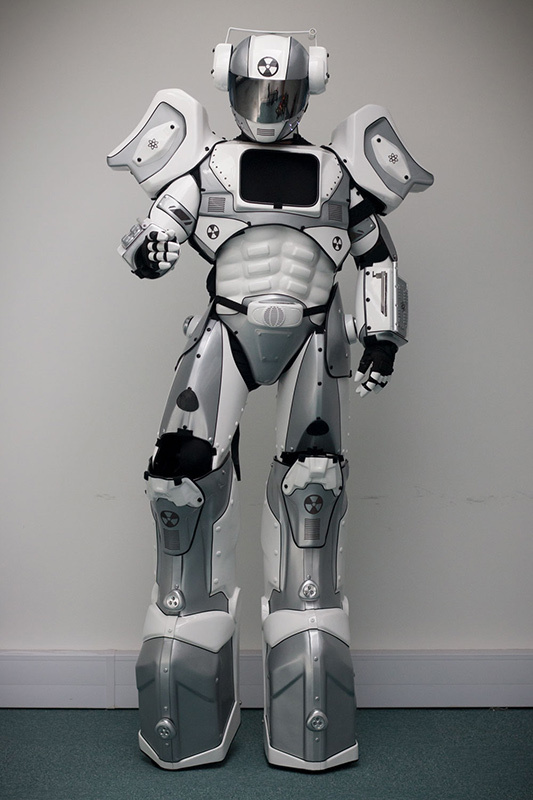 Their Robots are available worldwide to appear and perform at any type of event imaginable. 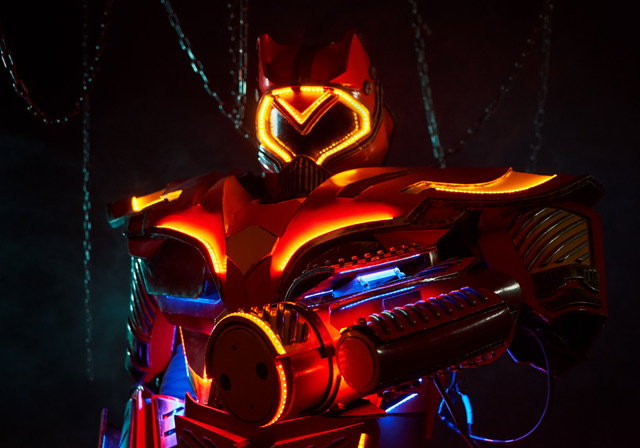 They work with manufacturers worldwide to create the most state-of-the-art robot costumes, and their dedicated performers are trained in-house by a professional choreographer. Have a look through their range to find a robot that suits you! 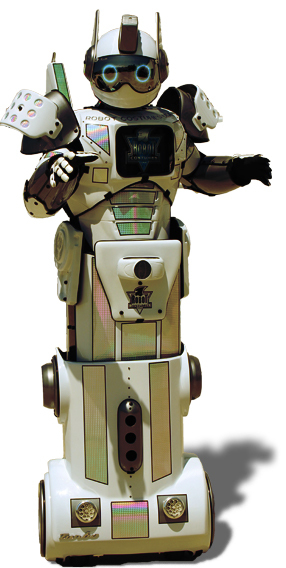 The Robot Show is the perfect entertainment option for any family friendly event or private party. 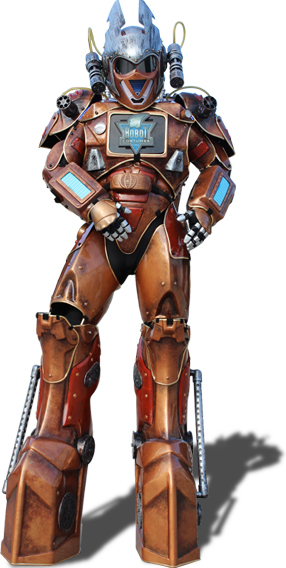 They can provide walkabout entertainment with lots of crowd interaction and even a fully choreographed performance by any of the robots in their team. 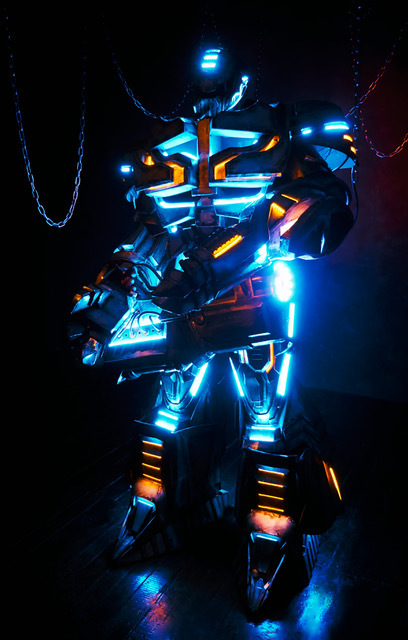 Delivered straight to your door, The Robot Show is guaranteed to leave your guests speechless. For appearances at children’s birthday parties, clients have the option to include the Birthday girl/boy in the performance. If you are looking for an innovative way to promote your brand or event, you’ve come to the right place. 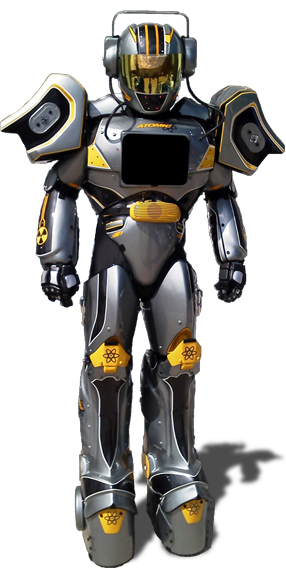 The Robot Show is a magnet for publicity and is the perfect way to receive press and media coverage for your business. 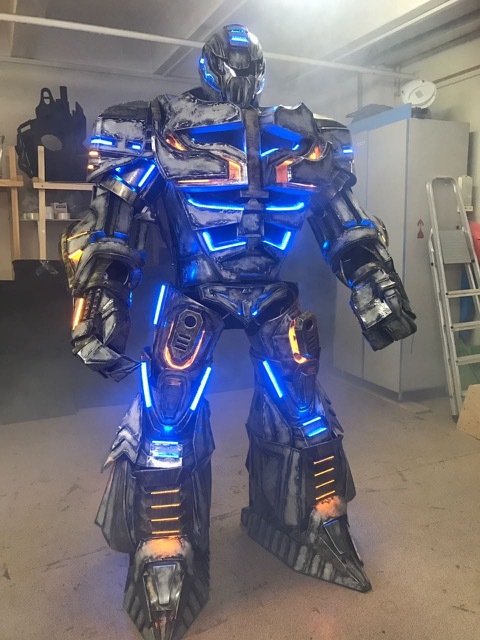 Available worldwide to appear at any form of corporate event or brand activation, their robots will be customised to display all of your brand iconography and graphics. The Robot Show’s Corporate robots are an advertiser’s dream! Custom wrapped in the branding of your choice, these robots also come equipped with built in iPads, which are perfect for audience interaction. Equipped with anything from a selfie camera to take photos with guests, to an interactive game to aid data retention – these robots are guaranteed to get your audience engaged with your event. 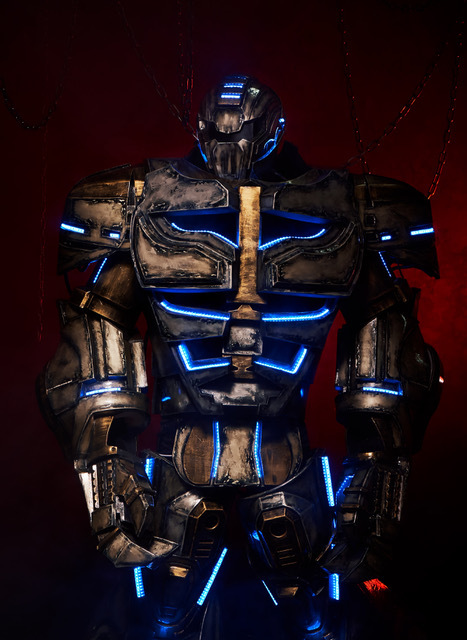 The X bot, Y bot and Z bot can come as a trio or individually, depending on your requirements. The Segway robot in particular is the perfect host and an extremely entertaining way to show guests around, provide information on the event via his touch screen, or even act as the charming Maitre D’. 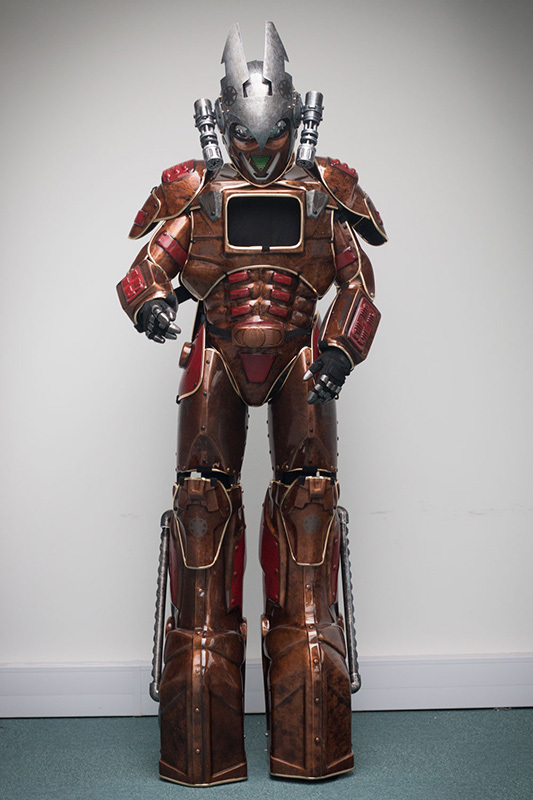 Nothing compares to the reaction of a room full of partygoers when a twelve foot robot walks out on stage. 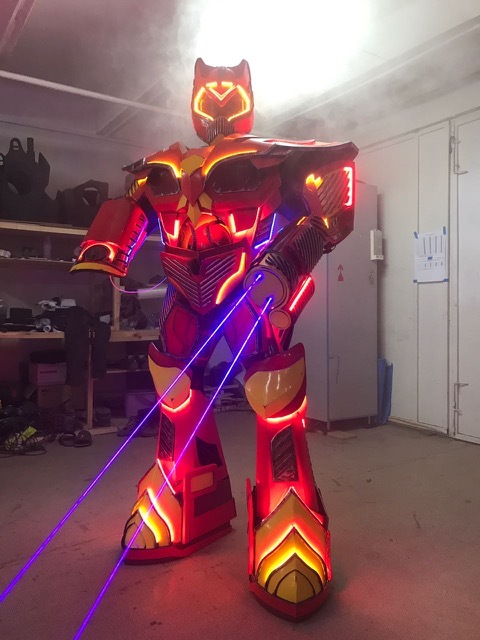 Fully equipped with laser guns, smoke machines and LED screens, an appearance by The Robot Show will enhance even the most raucous of nightclub environments. Synced entirely with the music playing, our robots will perform alongside any DJ, band or MC. In addition to full scale performances, The Robot Show is also available as a walkabout entertainment option. Whether you are a burgeoning music festival with 3000 attendees or one of the biggest names in the game, The Robot Show can help give your event the extra edge to set it apart from your competitors.